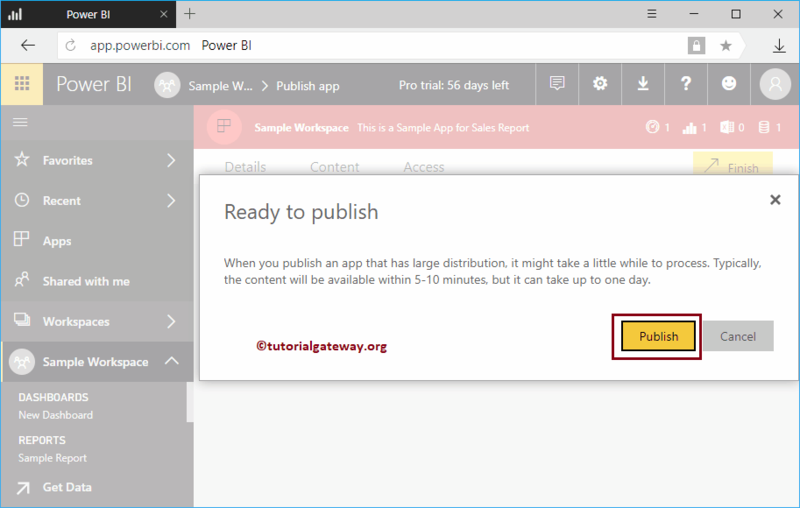 In this article, we will show you the step by step approach to Publish App in Power BI with practical example. 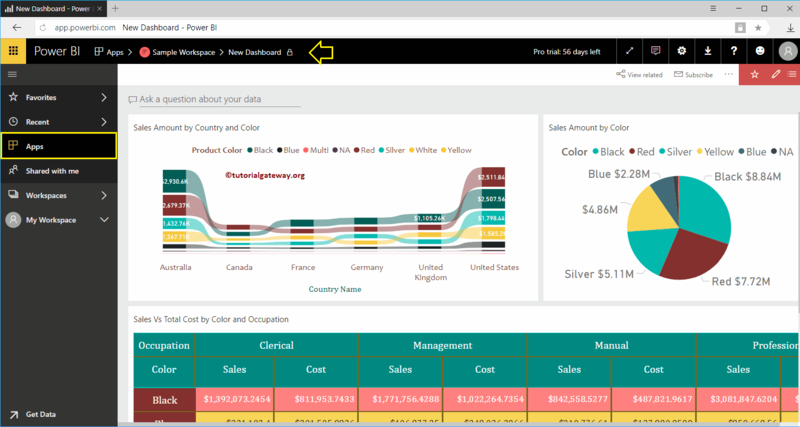 Before we start publishing Power BI app, let me show you the existing dashboards in my Power BI workspace. 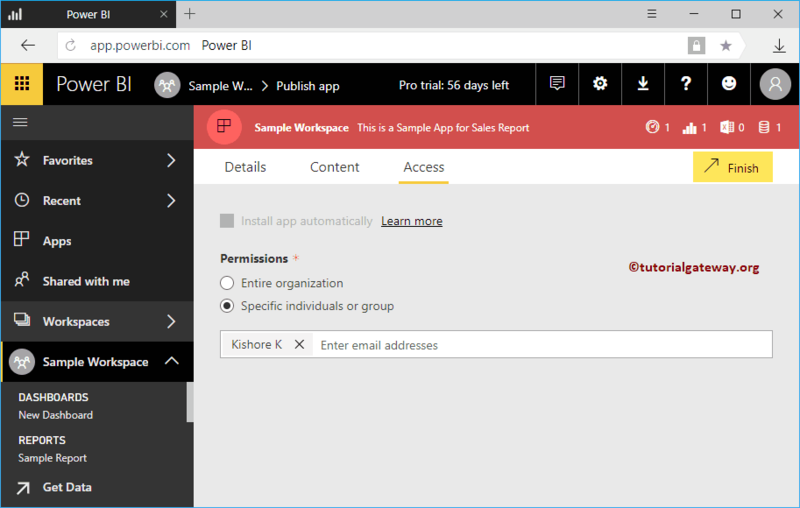 For this demonstration, we are using Sample Workspace. 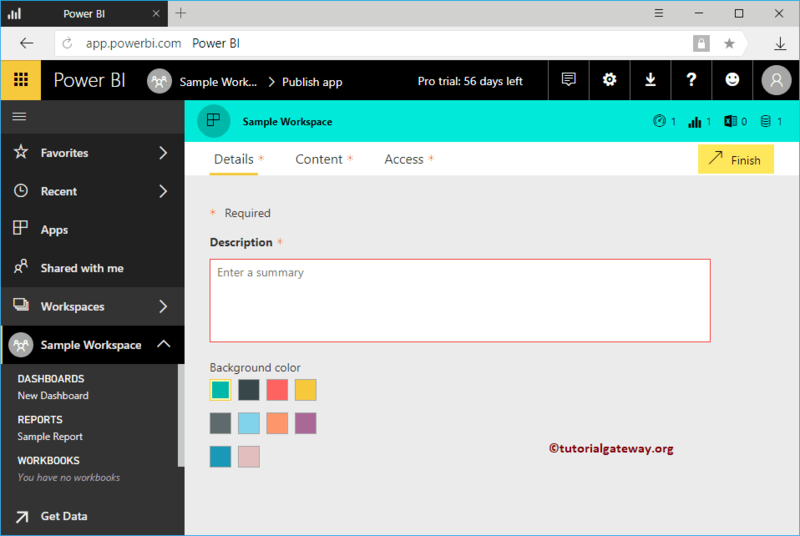 I suggest you to refer Create a Workspace article to understand the workspace creation. 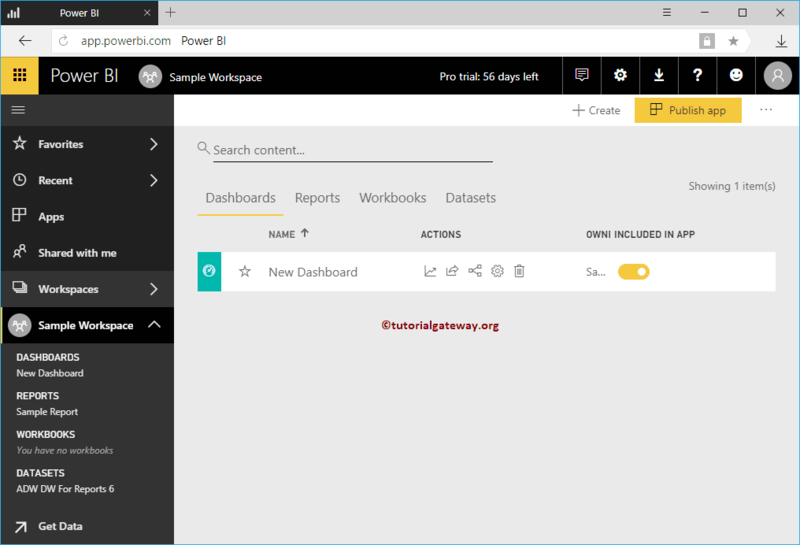 Please click on the Power BI Sample Workspace, and then go to the dashboards tab to see the list of available dashboards. 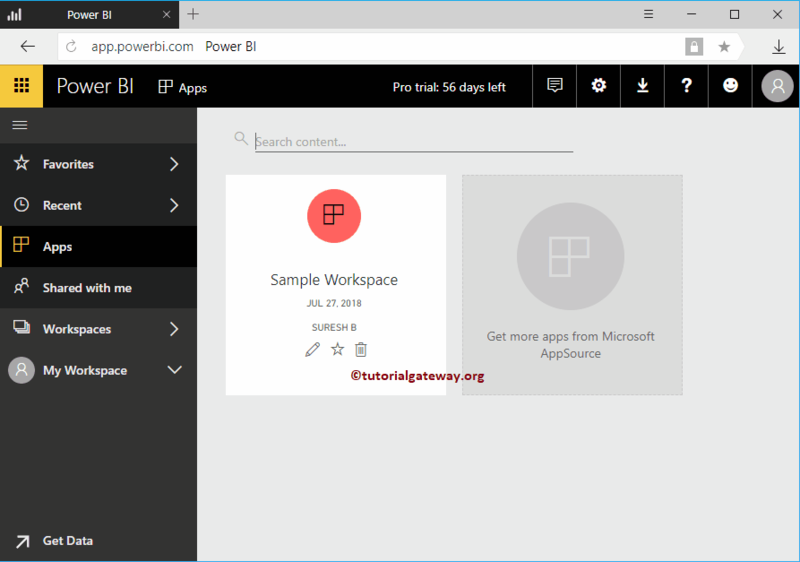 As you can see from the below screenshot, currently there is only one dashboard in this workspace. Description: Please provide a valid description about this app. This is required field so, you have to fill something here. 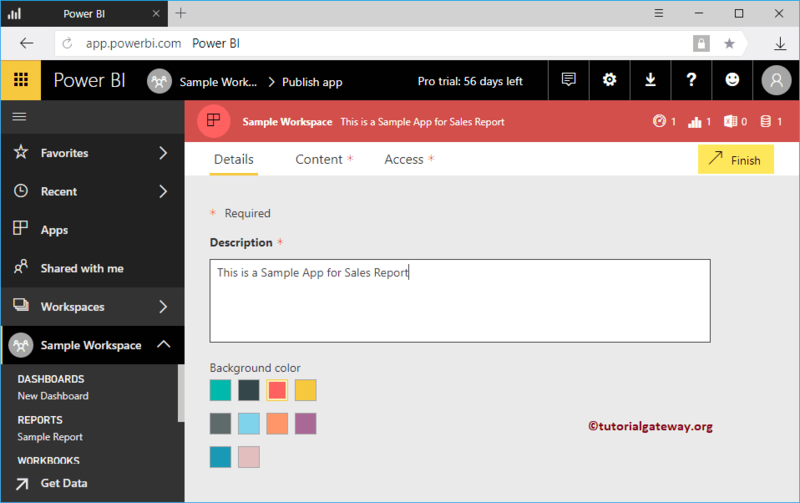 Background Color: Please select the background color of this app. By default Green is selected. Permissions: Either you can give access to the entire organization, or few individuals or group. 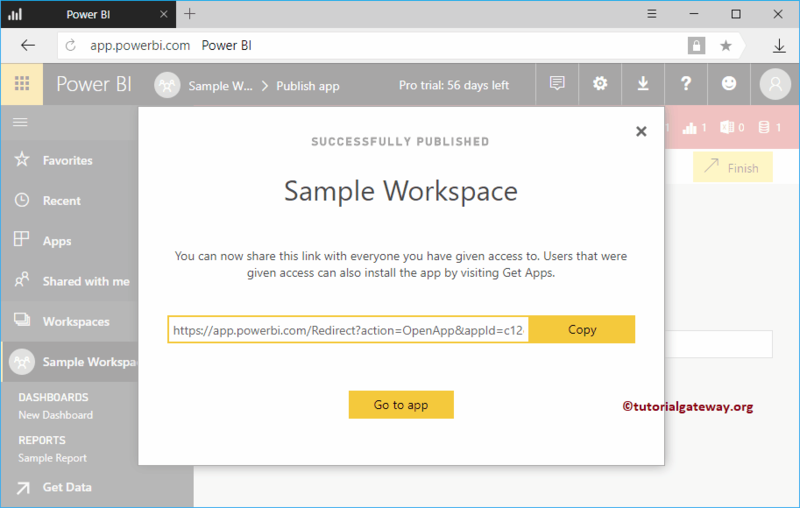 Clicking that button will take you to the following window. 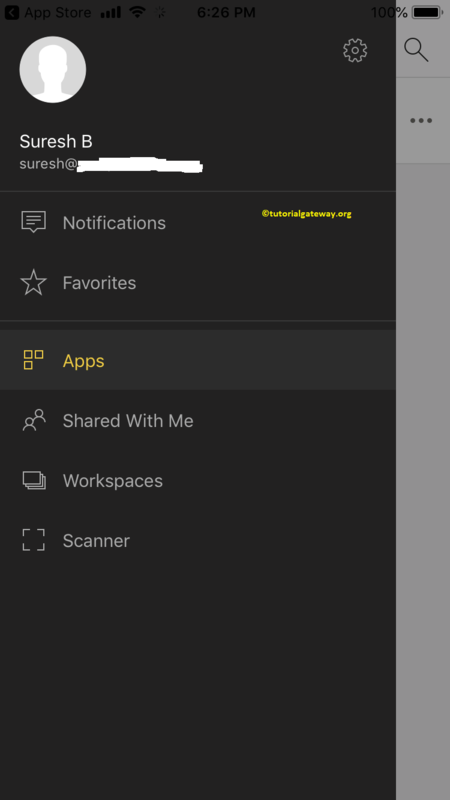 If this is not the case, click on the Apps tab inside the Left navigation bar. Sometimes it may open like below. 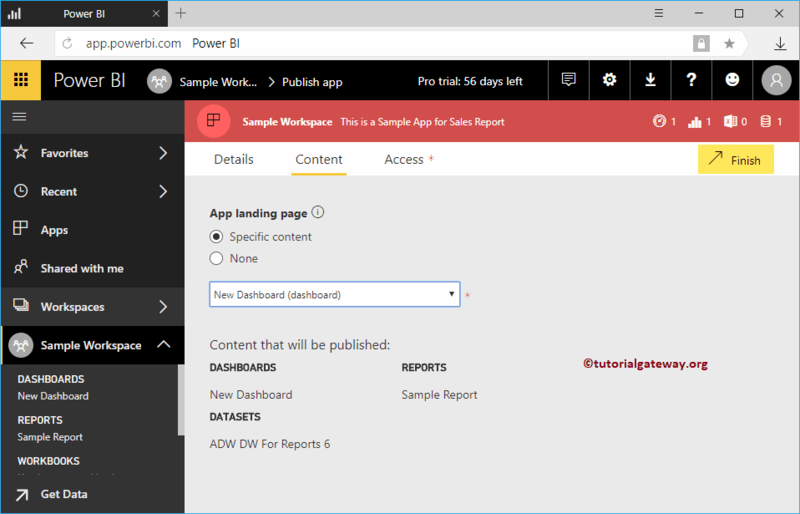 Here, you can click Sample Workspace and see the dashboard inside it. Let me open the URL that we copied in my IOS device. 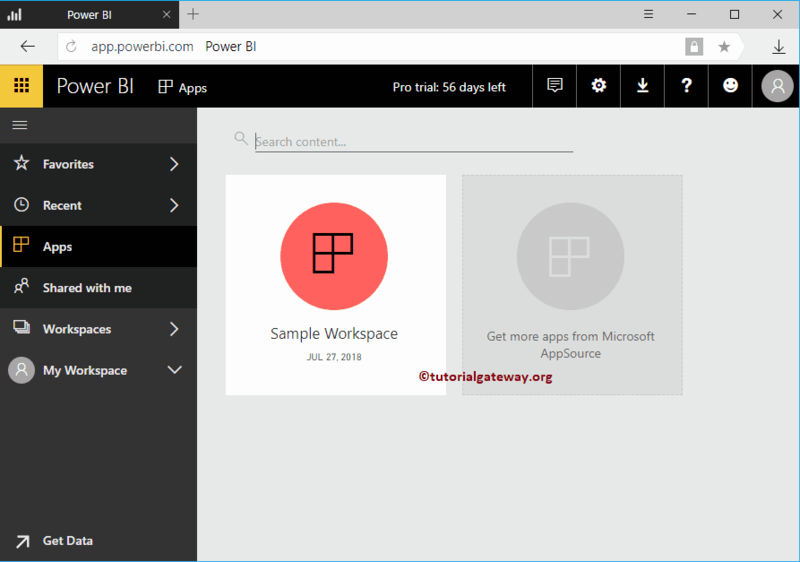 Remember, you have to download Power BI app from App store, or Google Play store. 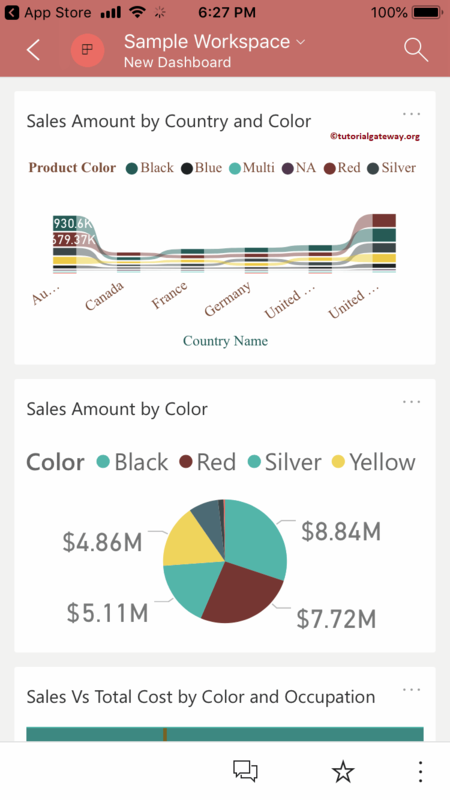 From the below screenshot, you can see the dashboard inside our mobile.